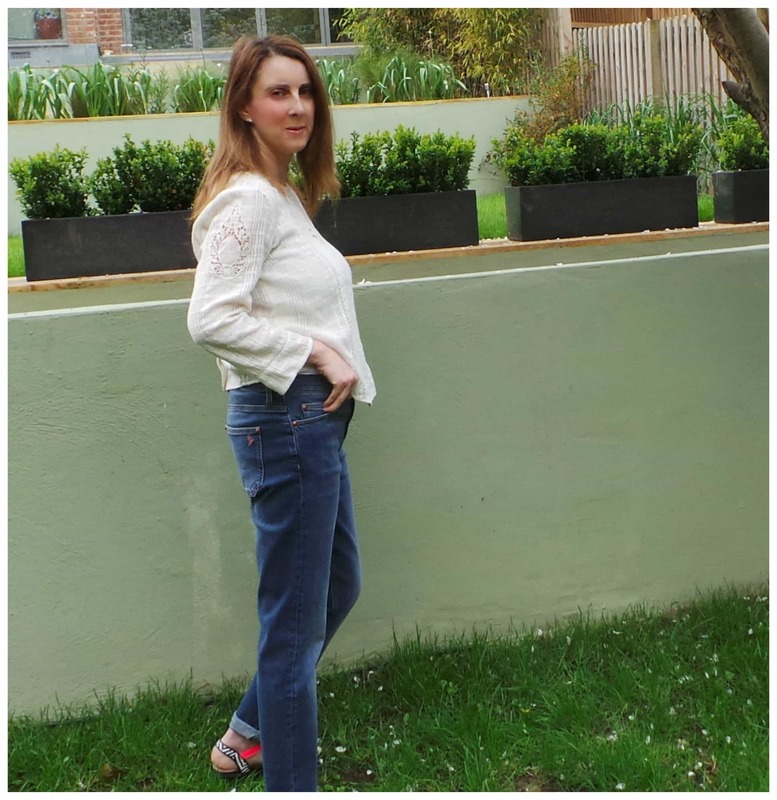 This week I’m reviewing The Tomboy boyfriend jean £175 by MiH Jeans at mih-jeans.com . As I’m sure you know I’m on a one woman mission to find a good fitting boyfriend jean for the Apple bodyshape. 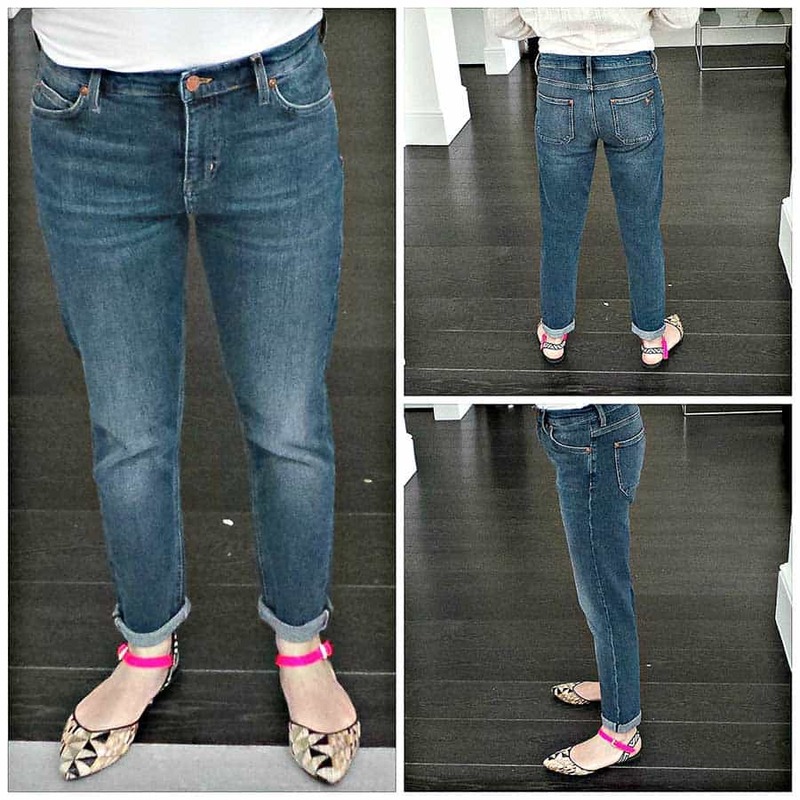 Until now the boyfriend jeans I have reviewed are good for curvy ladies but not us Apples. 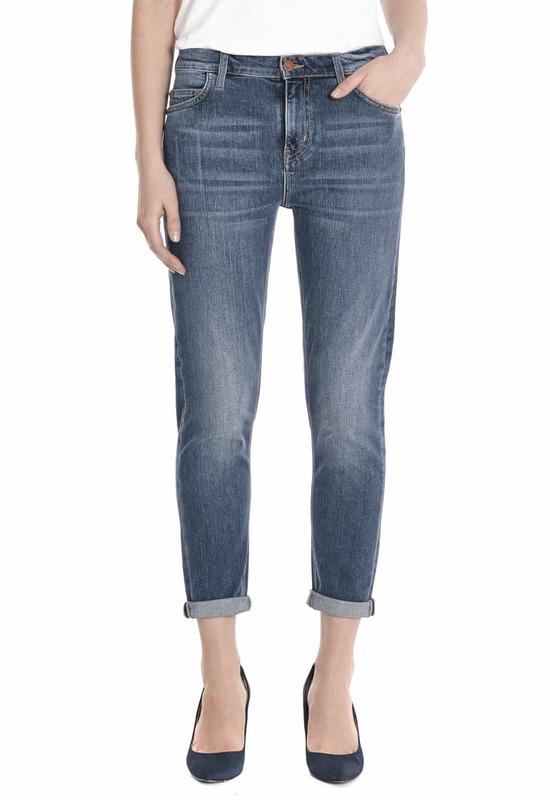 The Fit: The Tomboy Jean is a mid-rise, slim leg boyfriend jean. Available in two washes, New Original (as above) and Moon Vintage. The size reviewed is a 26. Comes in sizes 24 to 32, Said to be a combination of a skinny and a boyfriend jean, I’m excited as its looking positive! The Rise: 10 inches that sit low on the hips to give the slouch of a boyfriend jean. The Behind: The back pockets as always with a MiH Jean are square with the dove logo stitched in the pocket. For a boyfriend slouchy style the bottom is quite fitted. The Leg Opening: 6 inches. Leg Length: 27 inches with a turn up hem that can be turned down. The Fabric: Italian indigo denim with 98% 2% Lycra. 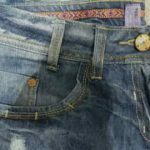 Hand whiskered which are crease marks synthetically created, biscuit top stitching. The feel of this denim is like cashmere. 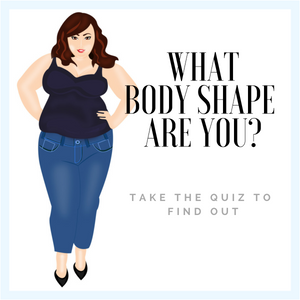 Which Body Shape: Finally a boyfriend jean that’s slim enough for an apple, petite and long & leggy body shape. 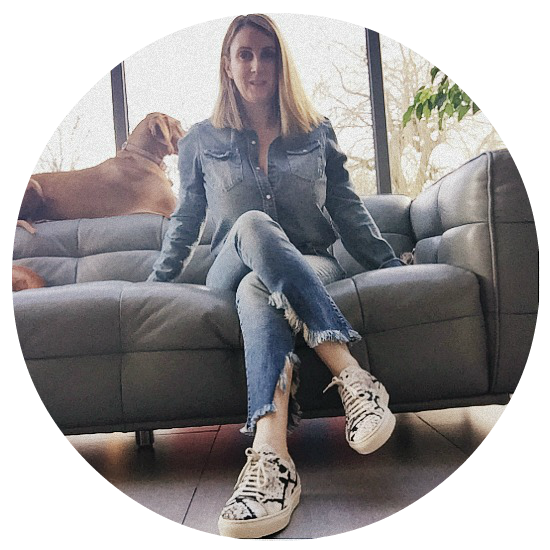 The Round Up: The Tomboy is a hybrid of two styles (skinny/ boyfriend) it offers the sleekness of a skinny with the slouch of a boyfriend, thus being a sucked in version of the boyfriend jean. Despite the rise being just over 10 inches the Tomboy still manages to keep the tummy and hip area flat, which is surprising as all the boyfriends I have tried on tend to add pounds to the tummy area. So I opt for the size 26 and after wearing for a day I noticed the Tomboy getting more slouchy as the day went on. Now this could be my addiction to skinny’s talking but I think I should of tried the size down (25). So I suppose the answer is…. 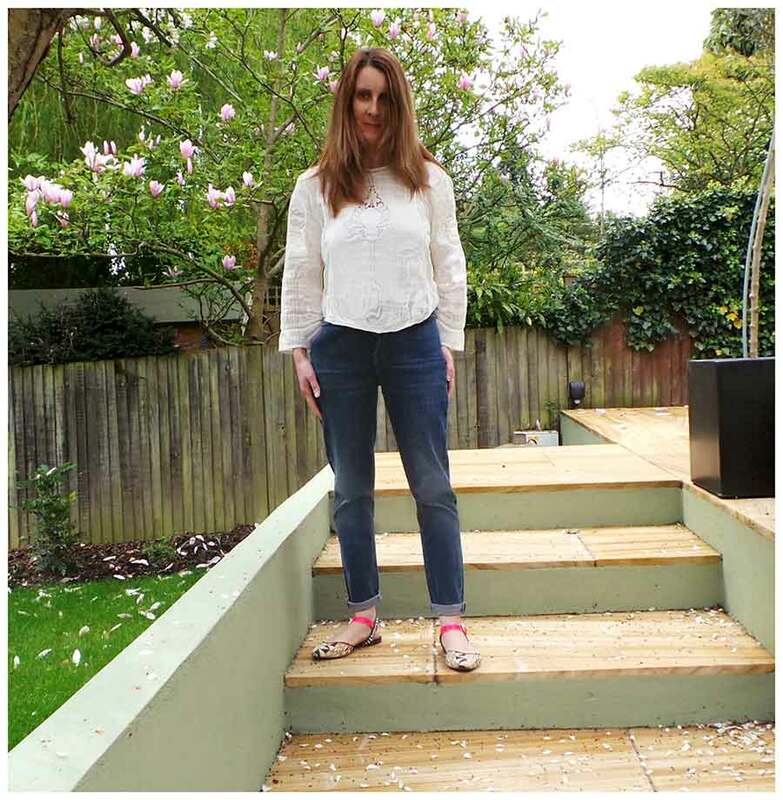 if you want your boyfriend jean to be more like a skinny, then go a size down on the Tomboy, which is the slimmest of the MiH Boyfriend jeans by the way! 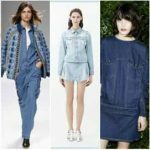 Follow ilovejeans.com’s board Tried & Tested Denim Review on Pinterest.